Zero Tool version (no batteries or charger). Compatible with the 18V One+ range of batteries and chargers. 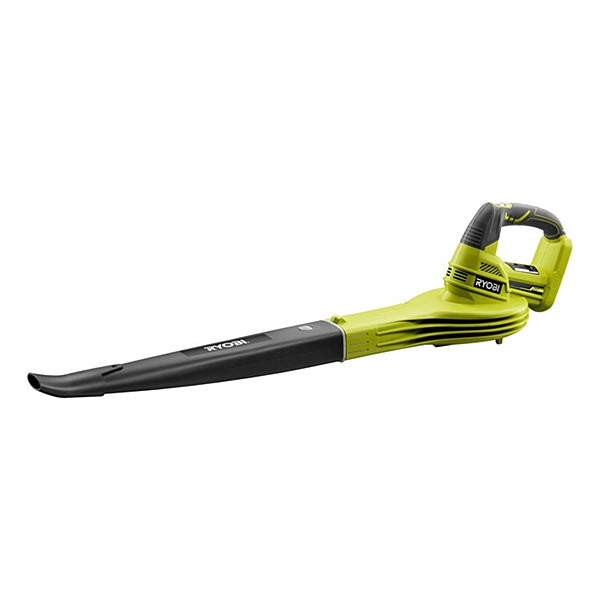 Ideal for blowing leaves, grass clippings and other debris from courtyards, driveways, decks and footpaths. ​ The lightweight design ensures user comfort and allows easy maneuvering around the garden, while Lithium Ion technology provides cordless convenience and eliminates the need for long extension cords. Many people are unsure of the difference between the Ryobi models OBL1820S and the OBL18JB. The nozzle design on the OBL18JB generates a larger volume of air ideal for clearing of larger areas. Where as the narrower design of the OBL1820S nozzle concentrates the air resulting in a more concentrated faster air speed ideal for the clearing of smaller areas. The new Ryobi 18V Blower is more powerful and even lighter weight than its predecessor. Packing impressive performance figures of 245km/h air velocity and over 22 minutes run time on a 5.0Ah battery. This unit is the perfect addition to your Ryobi tool range.